Cybercriminals in the region target e-commerce businesses with fraudulent accounts. The nature of global cybercrime is changing as a result of the expanding worldwide circulation of breached identity information according to new research from ThreatMetrix. In its recent ThreatMetrix Q1 2018 Cybercrime Report, the firm highlights how increased availability of stolen identity information has led to an outbreak of new account creation fraud in Latin America revealing that one quarter of all account registrations in the region are rejected as fraudulent. Cybercriminals have begun to leverage stolen and synthesized identities to attack the growing eCommerce market in Latin America as well as major global American retail corporations. Another key tactic used to monetise stole identities is to create fake new accounts through free trials and then to resell them for profit. Cybercrime is expanding on a global scale due in part to developing economies that have recently emerged as major perpetrators of fraud. This in turn creates new epicentres of cybercrime that can expand well beyond a country's border. As cyberattacks in Brazil continue to grow, the country is now among the top five countries where attacks originate and then spread to bordering countries such as Argentina and Columbia as well as to the US, UK and other leading digital economies. 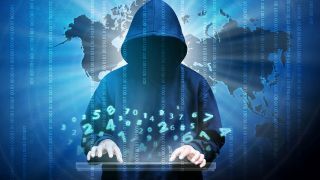 Attack levels for e-commerce remained high in the first quarter of this year with almost 150m transactions rejected which represents an 88 per cent increase in fraud attacks over the previous year. Bots also played a large role in recent attacks with 820 million bot attacks launched against e-commerce sites as cybercriminals tried to gain access to sensitive personal data and saved credit cards. Online businesses must do more to ensure that new users are indeed really who they say they are if these attacks are to be stopped before this practice spreads to even more countries in the region.